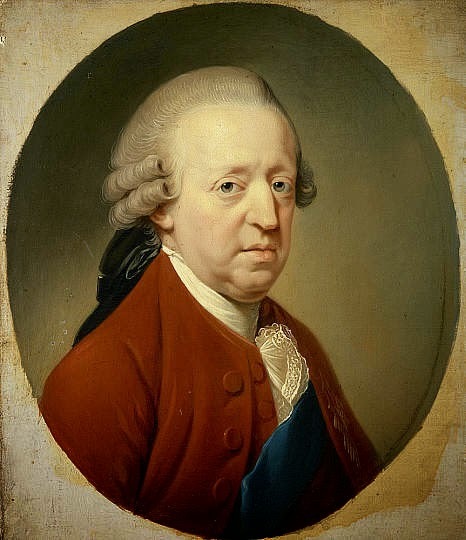 HomehistoryBonnie Prince Charlie: Romantic Hero Or Tragic Villain? 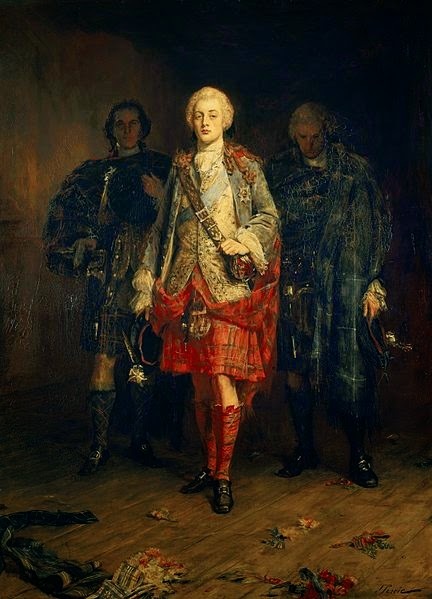 Bonnie Prince Charlie, the most famous royal pretender in history, was a sad and tragic figure. Vilified by the Hanoverians, who replaced the Stuart dynasty on the thrones of England, Scotland, and Ireland, he was turned into a romantic hero by the Jacobites, who saw him as the symbol of royal legitimacy. Both these depictions are false and grossly exaggerated. 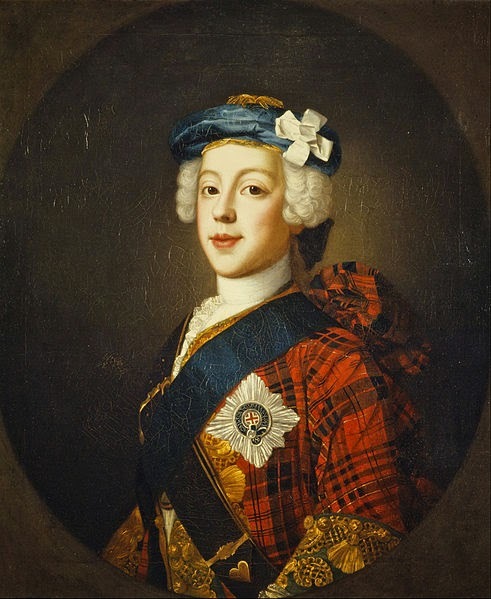 So, who was the real Bonnie Prince Charlie? Prince Charles Edward Stuart was born in Rome on December 31, 1720. His father was James Francis Edward Stuart, son of the dethroned King James II, and his mother Maria Clementina Sobieska, the granddaughter of the Polish king John III Sobieski. Both believed in the Divine Right of Kings and the justice of their cause, which was a constant topic of conversation in their household. The loving parents (for all their faults, all the Stuarts loved their children dearly) expected their son Charles to regain their lost thrones and raised him with that end in mind. Therefore, from an early age, he was given military training and, in 1734, was present at the siege of Gaeta. Ten years later, the French royal family agreed to help the Stuart regain their crown. So, Charles, who had been made regent by his father to grant him the necessary power to act in his name, went to France, from where he was supposed to lead an invasion army to Britain, but the invasion fleet was scattered by a storm. 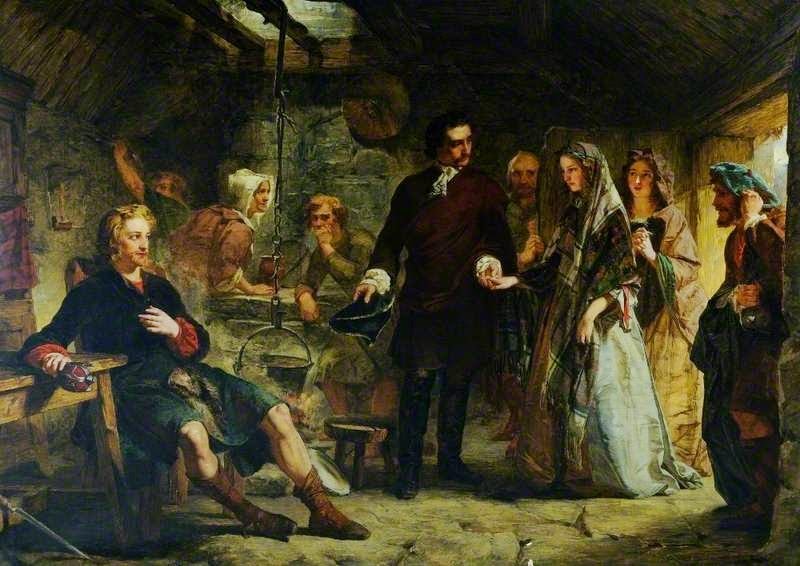 Undeterred, he went to Scotland, the home of his ancestors, where, in Glenfinann, he raised the highland clans, both Catholic and Protestant, that were still faithful to his family. Not all of them were. Some saw the Stuart cause as hopeless and preferred to remain loyal to the House of Hanover, by now quite firmly established on the throne. Still, the force he raised was enough to capture Edinburgh, which surrendered without a struggle. 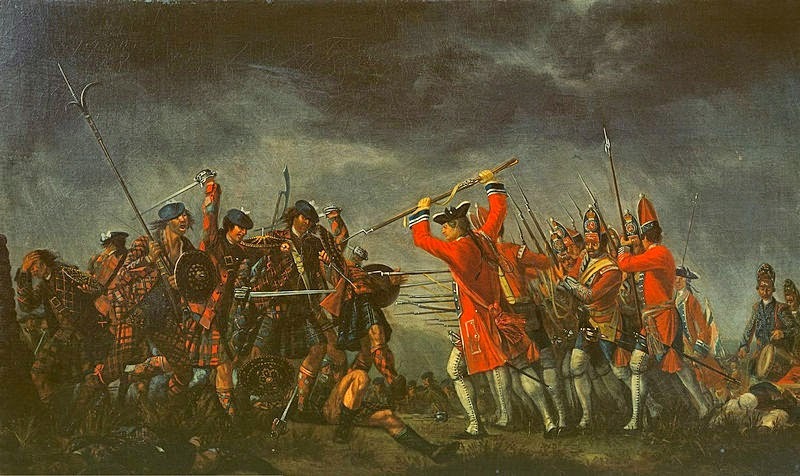 Later, the poorly armed Jacobite army managed to take by surprise and defeat the British army of Sir John Cope. Energized by his victory, Prince Charles marched south into England, hoping to rouse the populace to his side. But few joined his cause. The Prince didn’t care and was determined to keep marching on, but Lord Murray and the highland chieftains, fearful they didn’t have enough men to win another victory against the British army, urged him to go back to Scotland. Reluctantly, the Prince agreed. The Jacobites managed to win another battle at Falkirk Muir, but their luck soon turned. 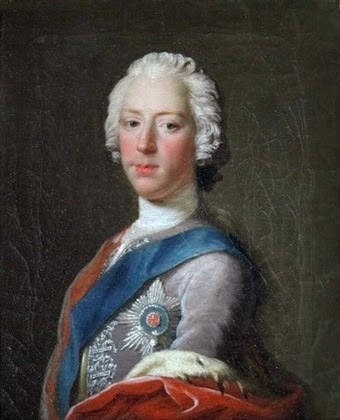 The Duke of Cumberland, George II’s son, pursed the Jacobite army, and annihilated it at the heroic battle of Culloden. A devastated Prince Charles had no choice but leave the country as soon as possible. His escape became legendary. Always barely ahead of the British army, at one point he disguised himself, with the help of Flora McDonald, as an Irish maid to evade capture. Despite the generous bounty on his head, noone betrayed him, and the Prince managed to sail to safety back to France aboard the L’Heureux. 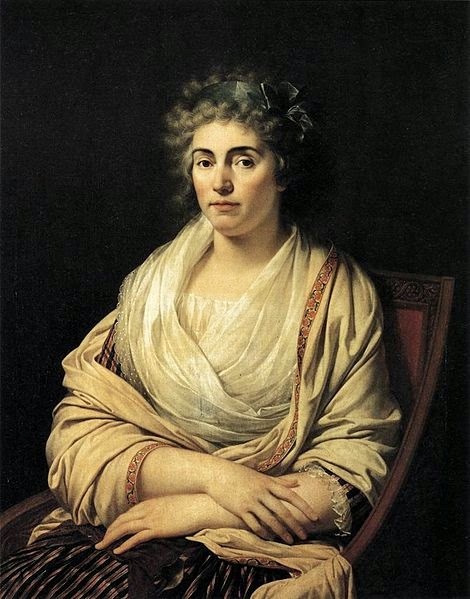 In France, he had numerous affairs, including one with his married cousin Marie Louise de La Tour d’Auvergne, who gave birth to their son Charles. Sadly, the baby lived only a few months. In 1748, Charles was expelled from France under the terms of the Treaty of Aix-la-Chapelle, which ended the war with England. 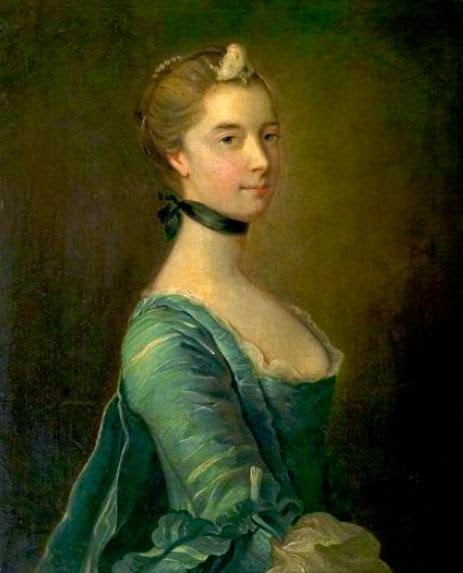 Charles also had a relationship with Scottish Clementina Walkinshaw, which probably began during the 1745 rebellion. The couple, who lived together for many years, had a daughter, Charlotte. But, the Stuart cause now lost, Charles was now a broken man. Plunged into depression, he began to drink heavily. Clementina took her daughter and left him. In 1759, during the Seven Years’ War, the French were planning an invasion of Britain. They summoned Charles to discuss his participation, but nothing came of it. An intoxicated Charles, who had heard French promises before and knew how worthless they were, reacted badly to the proposal, making a very bad impression. The French decided not to deal with him further. The invasion never happened either. In 1766, Prince Charles’s father died. His faithful supporters proclaimed him King Charles III, but, this time, the Pope didn’t recognize his title. In 1772, Charles married Princess Louise of Stolberg-Gedern. They lived first in Rome and then in Florence, where he began to use the title “Count of Albany”. But his marriage wasn’t happy. His wife, who had begun an affair with the Italian poet Vittorio Alfieri, left him in 1780, claiming he had been abusive. The broken, abandoned man once known as “Bonnie Prince Charlie” finally died in Rome on January 31, 1788.